Paracetamol, a para-aminophenol derivative, has analgesic and antipyretic properties. It does not possess any anti-inflammatory activity. Paracetamol is often the analgesic or antipyretic of choice especially in patients in whom salicylates or other nonsteroidal anti-inflammatory drugs are contra-indicated. Looking for ideal Paracetamol Injection Manufacturer & supplier ? We have a wide selection at great prices to help you get creative. All the 300mg/2ml are quality guaranteed. 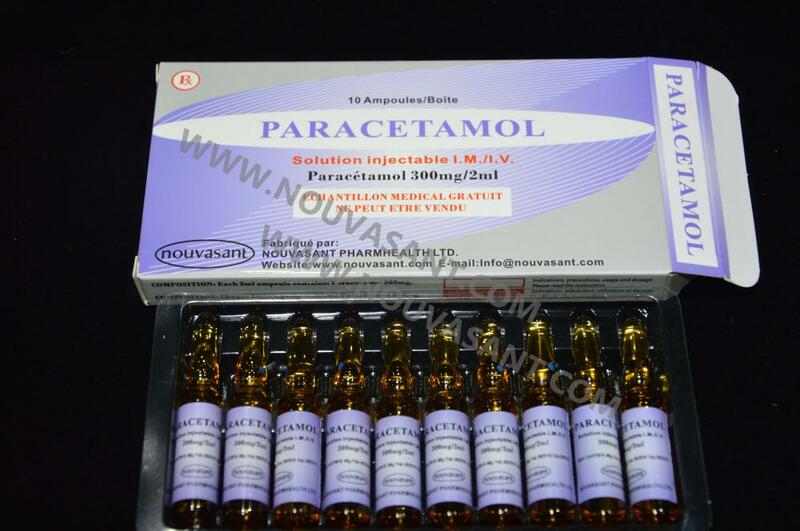 We are China Origin Factory of Paracetamol Injection 300mg/2ml. If you have any question, please feel free to contact us.